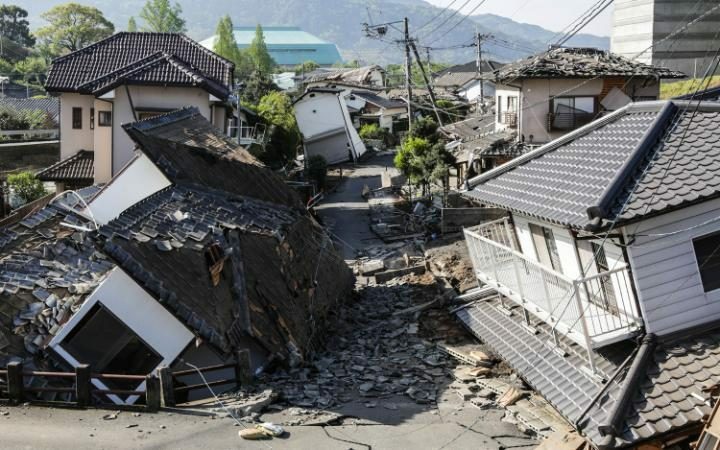 On April 14, 2016, some five weeks ago, an earthquake with a magnitude of 6.2 hit Kumamoto City in the western part of Japan, followed two days later by a stronger earthquake of a magnitude of 7.0. Close to 50 people have been reported killed, while over a thousand people were injured. While this pales in relation to the triple disaster of March 11, 2011 when an earthquake in the northern part of Japan resulted in devastating tidal waves and radiation leaks from a devastated nuclear power plant, there are still thousands of people living in shelters in Kumamoto, down from a peak of over 180,000 a few days after the earthquakes. In modern day Japan, large earthquakes often result in significant hardship for large numbers of people. And just as it was a concern in 2016, it was equally a concern in 1964. On September 3, 1964, The Mainichi Daily News published an article noting the 41st anniversary since the Great Kanto Earthquake. On that day, a magnitude 7.9 earthquake struck Tokyo, impacting areas as far and wide as Yokohama and surrounding prefectures of Chiba, Kanagawa and Shizuoka. For those who have seen the very large and very heavy Great Buddha statue in Kamakura, this 84,000 kg statue moved nearly a meter due to the earthquake. Death estimates from this earthquake range from 100,000 to 180,000. Over half a million homes were destroyed and nearly 2 million were left homeless. These casualties were the result not only of the initial earthquake, but also due to subsequent fires and tsunami. But the article goes on to say, casualties “would quickly increase if subsequent disasters, such as tidal waves, fires and traffic mishaps take place.” And in a major earthquake in a major metropolis like Tokyo at the time, that was likely. The article continues by stating that fires in over 300 parts of Tokyo would break out, the ability to deal with all those fires being inadequate. If a tsunami hit Tokyo’s water front, some 1.3 million people would be in the way. Half the major roadways and highways, more than half of telephone communication capability, a few major bridges and about 100 railway bridges, as well as hundreds of places storing combustible materials would all be damaged. And in fact, an earthquake did hit Tokyo on October 1, 1964, only 9 days prior to the commencement of the Tokyo Olympics. When will the next big one hit Tokyo? It’s probably best not to dwell on that…..
Posted in Environment, Japan, Others, Tokyo 1964, Tokyo 2020, Tourism and tagged 3.11, casualties, The Great Kanto Earthquake, tidal waves, Tsunami. Bookmark the permalink. You know Vancouver BC, has yet to experience the big quake. I don’t recall much to local residents when the 2010 Winter Olympics planning was in full steam in 2009. I lived there before, during and after the Games.